Adaptivity is a consequential requirement for software systems that allow integration of components or devices at runtime. Dynamic integration of components and a subsequent reconfiguration during operation causes change in both functional and non-functional properties of the system. Since these systems often operate in Safety-Critical environment, safety becomes a crucial characteristic to be taken under consideration during reconfiguration. 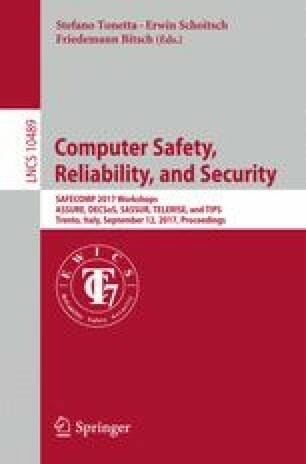 In this paper, we introduce a dynamic metrics based runtime risk assessment approach for safe reconfiguration in open adaptive systems. We combine design time safety analysis and runtime monitoring to evaluate risk factors of potential configurations of an adaptive component at runtime. Based on the evaluated risk factors the configurations are assigned a dynamic rank in an increasing order of their risk. During reconfiguration the adaptive component conforms to the ranking, thereby activating the configuration with lowest associated risk.